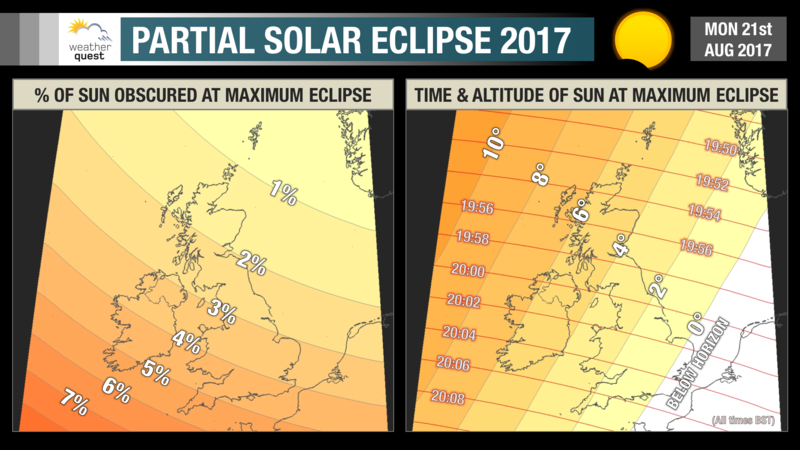 While parts of North America will experience a Total Solar Eclipse today, a partial eclipse will also be visible from the British Isles this evening. Depending on your location (generally earlier and shorter in duration the further north you are), the eclipse will begin between 19:30 - 19:40 BST where the moon first touches the Sun's edge, peaking around 19:50 - 20:10 BST with as much as 6% of the Sun obscured by the moon (bottom left corner of the Sun's disc), and ending at around 20:05 - 20:35 BST when the moon finally leaves the Sun's edge. Clear skies may be hard to find given large amounts of cloud expected across the British Isles, but if you are fortunate enough you'll need to find a location with a clear view of the horizon to the WNW (west-northwest) since the sun will be quite low in the sky. 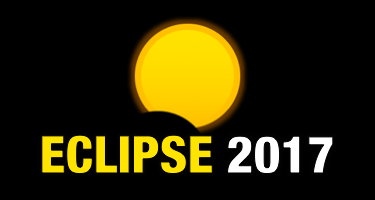 In fact, for southern and eastern parts of the British Isles, the sun will set during the eclipse. Remember, always wear eye protection when observing a solar eclipse, such as special eclipse glasses - sunglasses are not safe.